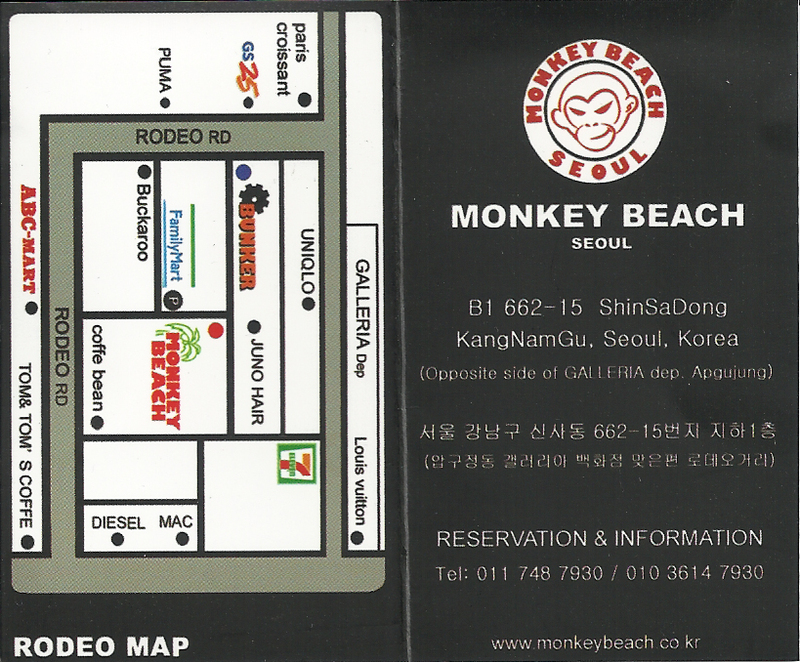 Directions to Monkey Beach: Exit 2 @ Apgujeong station. Walk for about 5-10 min (about 8 streets down) and you'll see a Paris Croissant (not Paris Baguette) on the corner. Go down that street and on your left @ about 100 yards you should see a sign for Bunker. The map and address to Bunker are located at the bottom of this post. 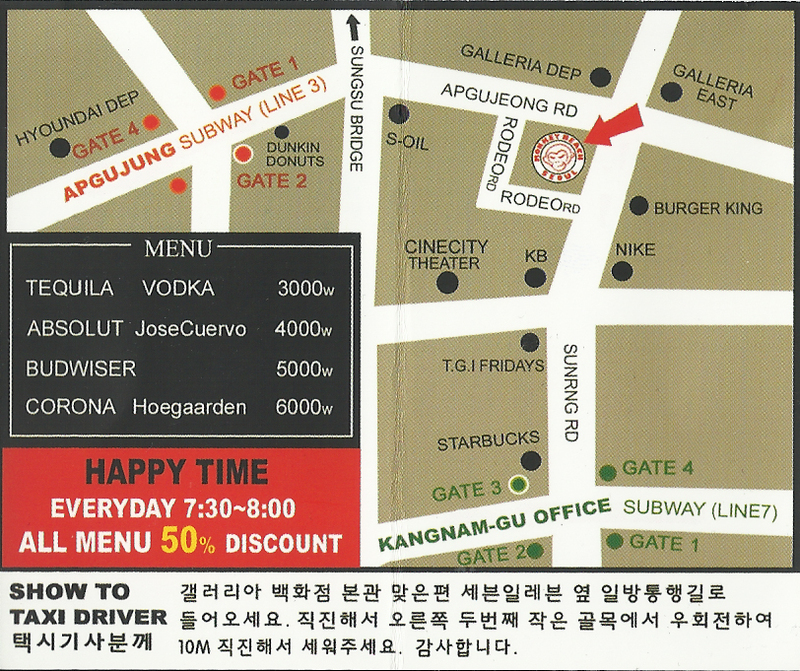 Features: Pool table, board games, retro arcade games, magnetic dart board, electronic dart board, and relatively cheap drinks. Small buckets of mixed drinks go for 10,000won 15,000won. 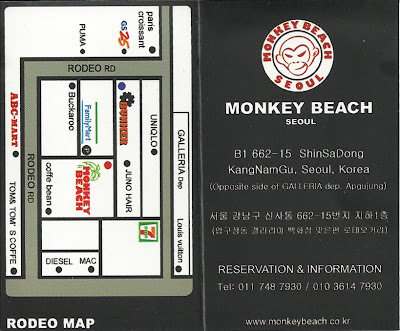 ATTN: Monkey Beach and Bunker are in close proximity to each other. The address on these business cards are to Monkey Beach.